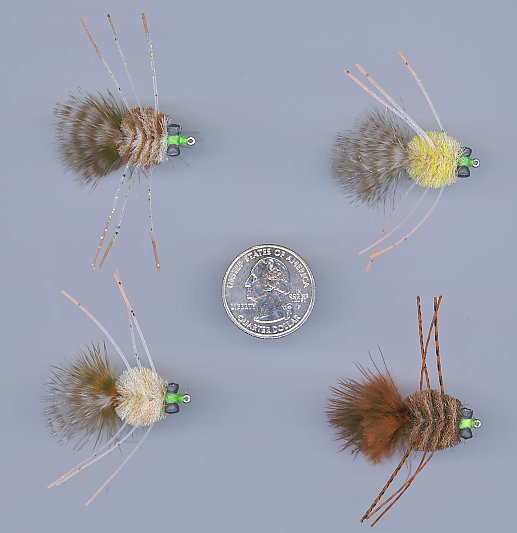 Enrico Puglisi's "EP Crab" (and "Micro Crab" - see below) flies are among the best crab flies that we have seen for bonefish, permit, and other flats-feeders, including striped bass. With a full range of colors to match any and all conditions, double mono weedguards, and just the right amount of weight, Enrico has outdone himself with these crabs. 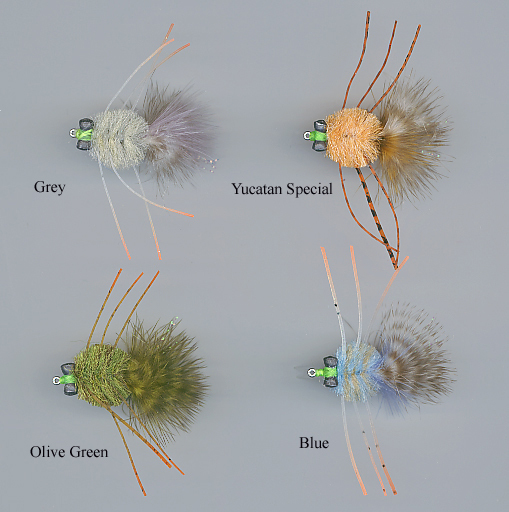 Click Here to view a size reference photo of the #8 flies (the #2 EP Crab is a larger fly - approximately 1 inch (2.5 cm) in diameter and total length of about 2 inches (5 cm). 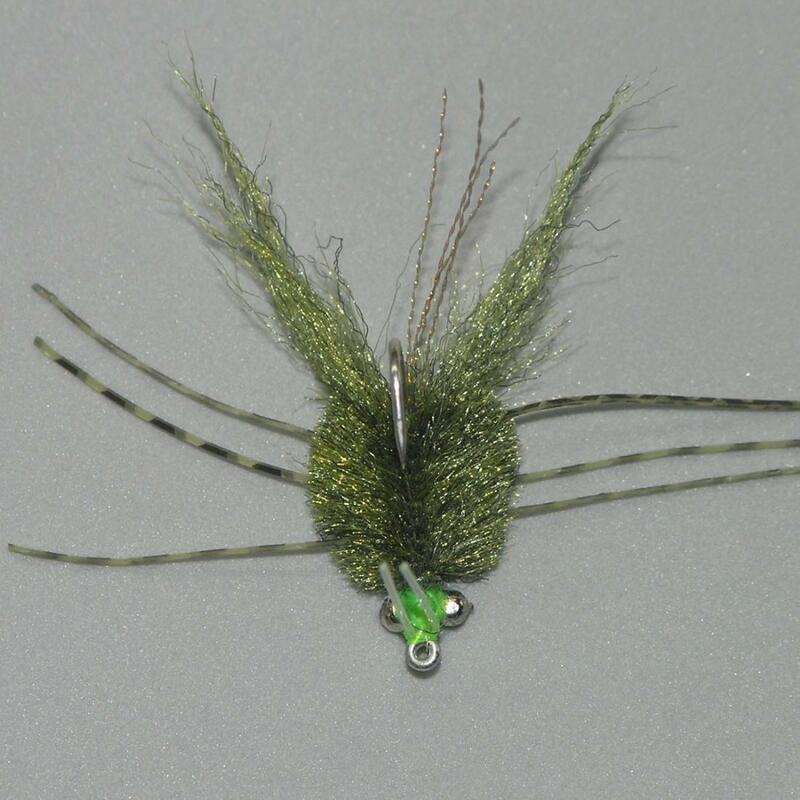 The regular EP Crabs are weighted with lead eyes - there are also a few colors available in a "Bead Chain Eye" version that is lighter in weight. 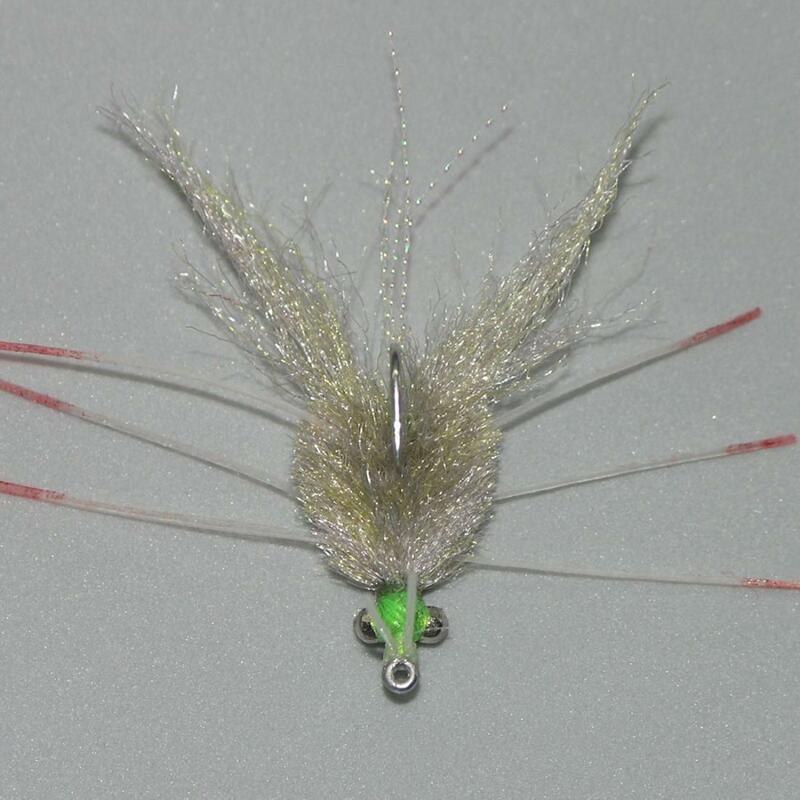 Enrico's "Micro Crab" flies are small, lightweight crab flies perfect for situations where a very delicate presentation is needed. 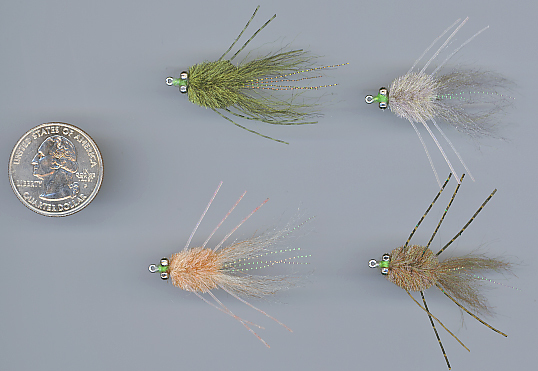 Shallow flats and spooky bonefish demand quiet, precise fly presentation, and the Enrico's Micro Crab will help you in these conditions. 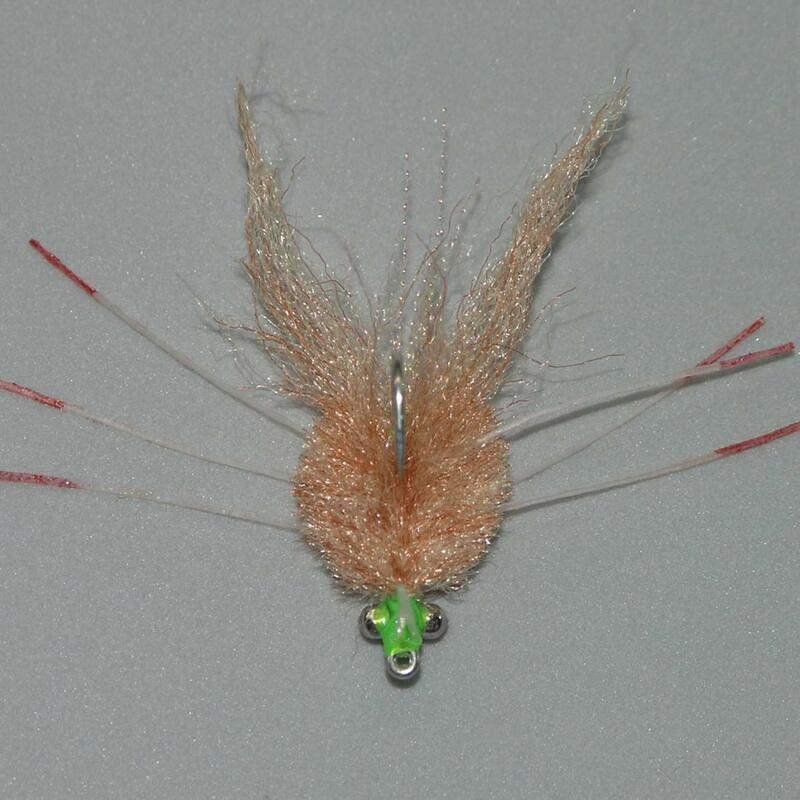 More lightly dressed than the EP Crab, with bead chain eyes instead of lead eyes. Click Here to view a size reference photo, or Here to see a side view showing the type of weedguard used on all of these EP Crabs. 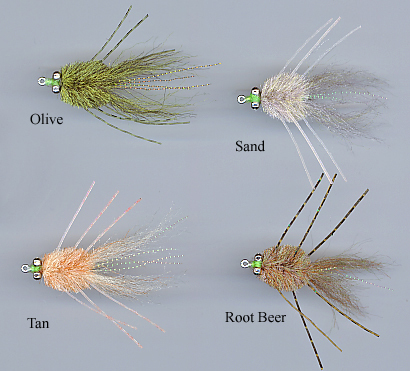 Here's a very nice set of closeup photos of the various Micro Crabs: Tan, Olive, Sand, Root Beer. 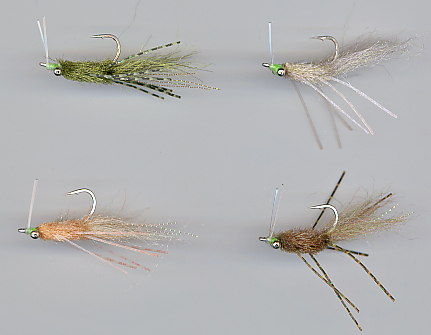 The #8 EP Crab flies and Micro Crabs are small crab flies, tied on Gamakatsu hooks - made by Enrico Puglisi Ltd. 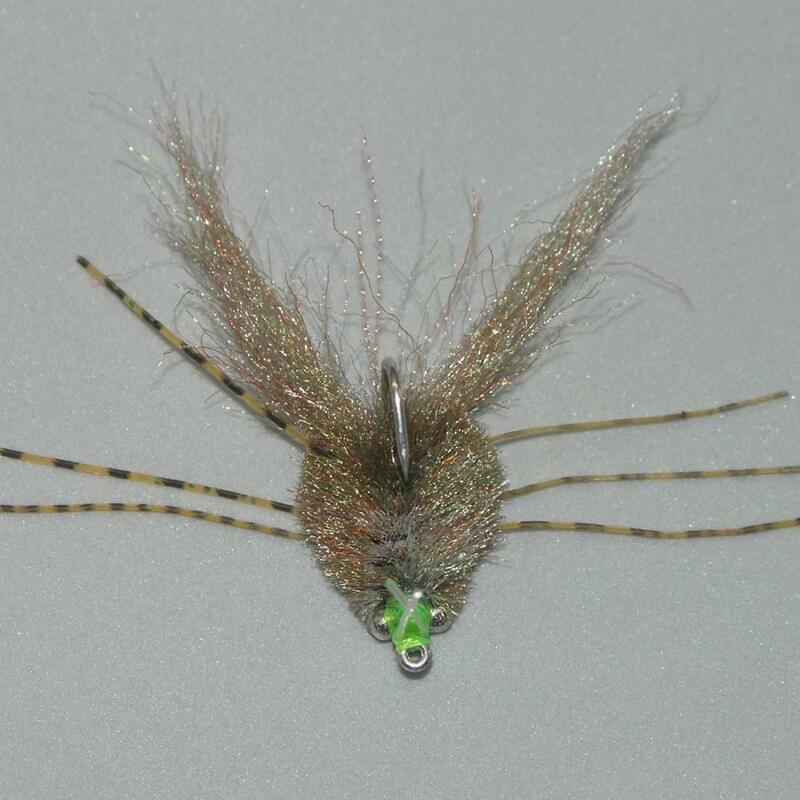 The #2 EP Crab is a medium-to-large sized crab fly - approximately 1 inch (2.5 cm) in diameter and total length of about 2 inches (5 cm). 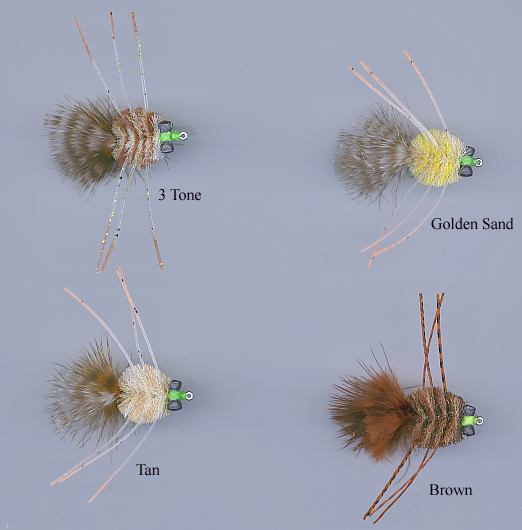 Related patterns: Mini Tarantula Crab, EP Permit Crab, Chernobyl Crab, Del's Permit Crab / Merkin, Bauer Flats Crab, Turneffe Crab.